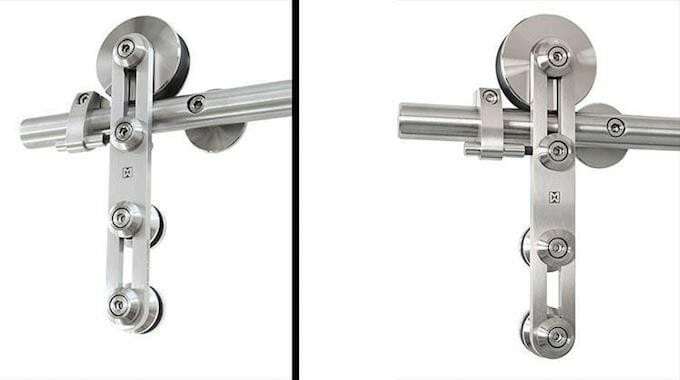 Protec Sliding Door hardware manufactured from stainless steel and can support either glass or wood door panels. The Protec is also easily adjustable, making it an ideal choice for architects and designers. It can support doors up to 235lbs. The Protec can be customized to your exact project specifications. 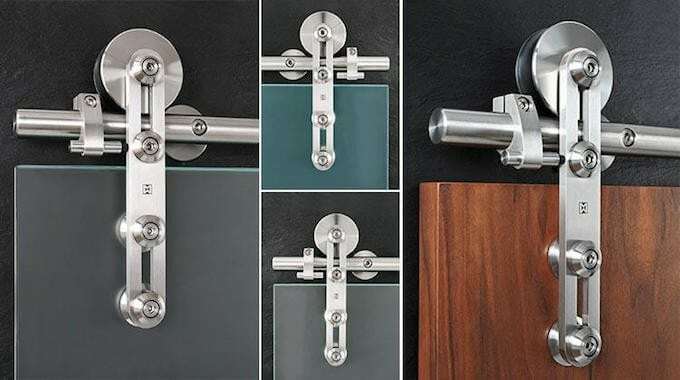 This includes customizations for rail length, door thickness, and door type (glass or wood). Our hardware experts have been helping contractors, architects and designers meet challenging design specifications for over 20 years. If you are interested in purchasing a Protec sliding hardware kit please fill out the form below. Please include as much detail as possible about your project, including items like door size, thickness and door type. A hardware expert will get back to you within 24 hours. For faster service, call (866) 815-8151 for a quote and to place an order. Hardware experts standing by, Monday thru Friday, 8 AM to 5 PM.